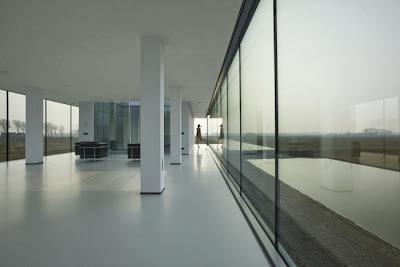 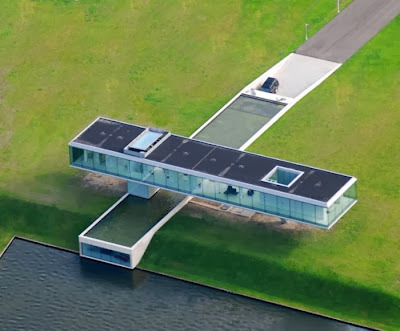 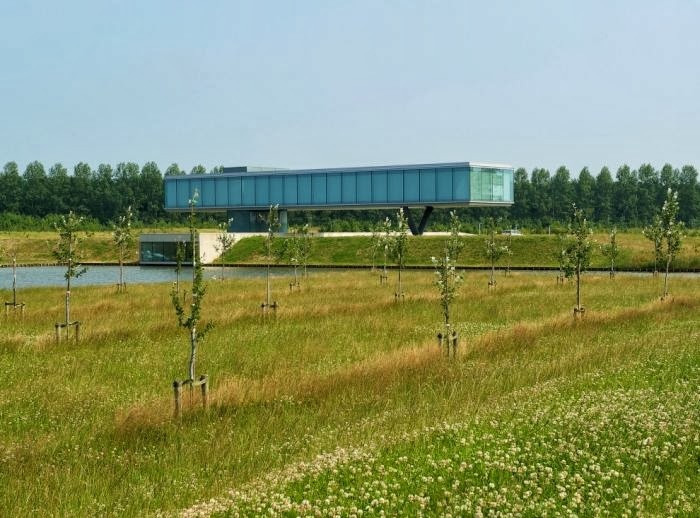 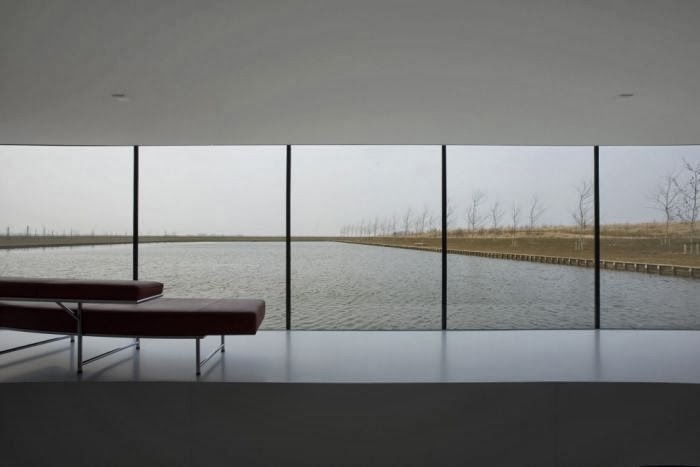 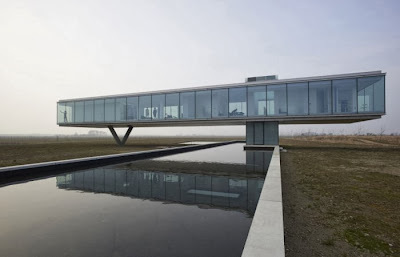 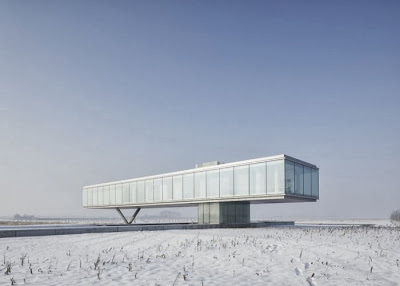 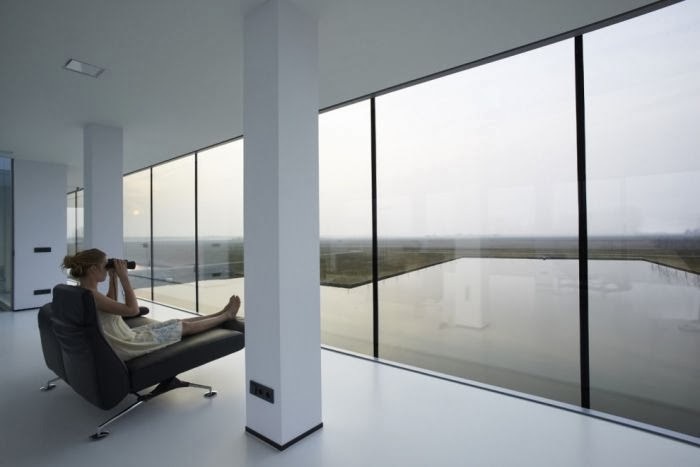 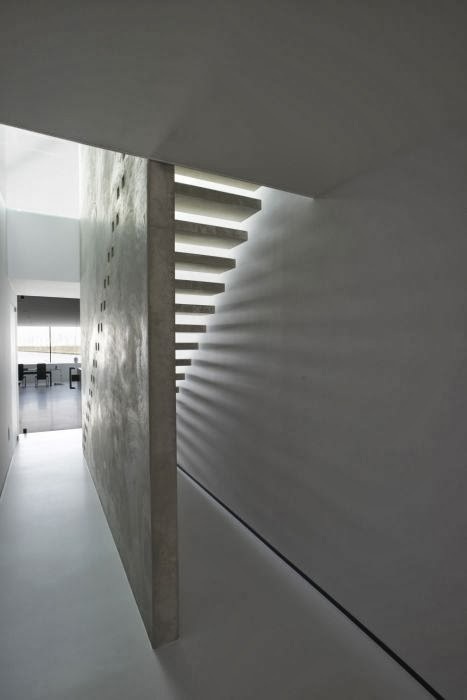 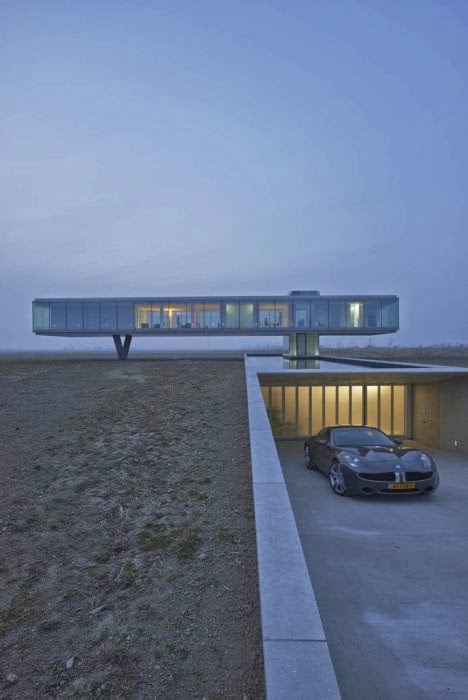 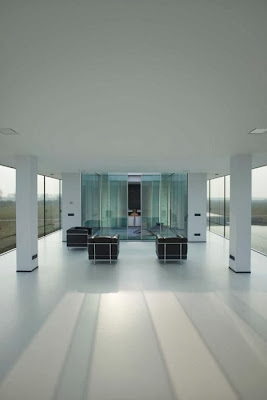 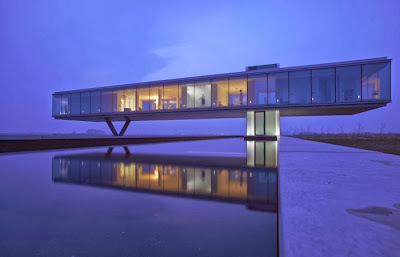 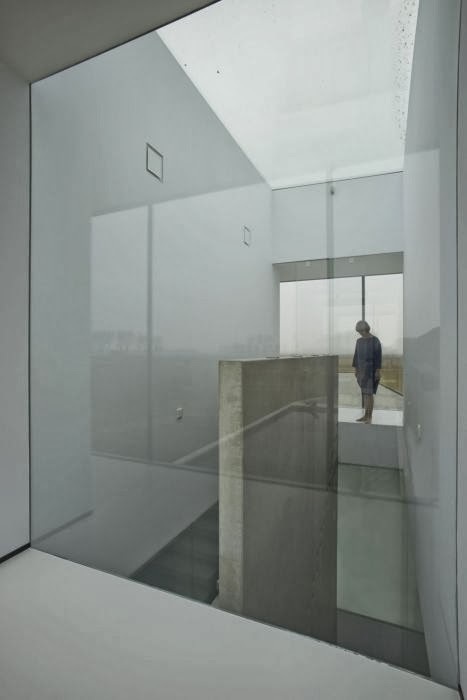 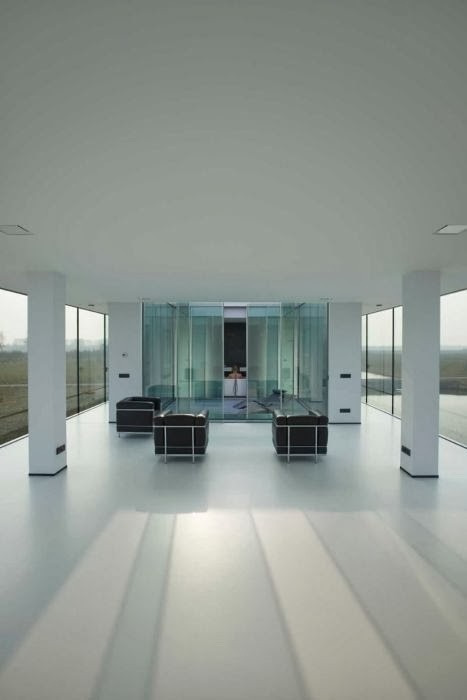 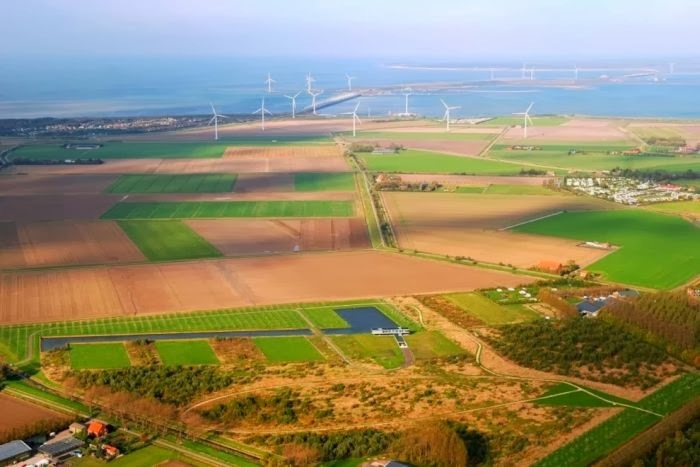 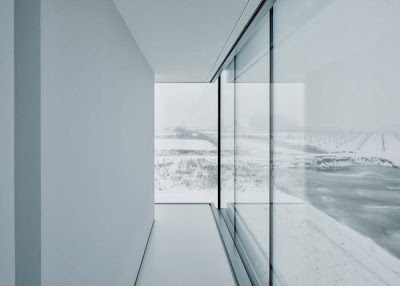 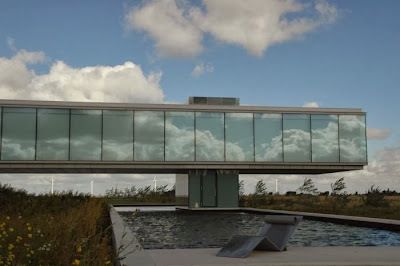 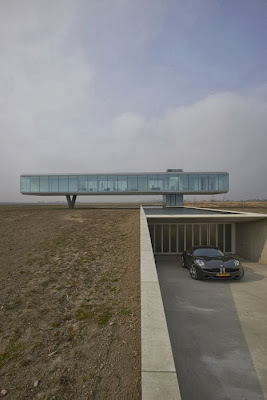 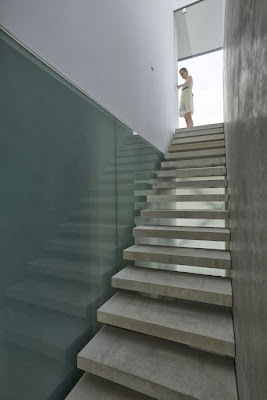 Netherland-based architect, Paul de Ruiter Architects, have designed a residential project known as Villa Kogelhof which located in Noord-Beveland, The Netherlands. 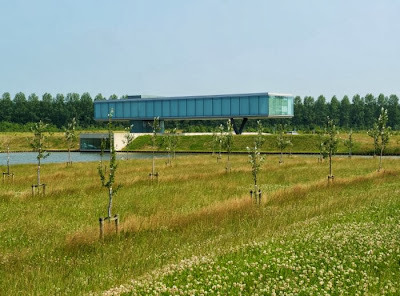 This villa supposed to be a “villa in the woods” that is surrounded by 71,000 trees planted in 2006. The front of villa is occupied by a large rectangular pond.